Interested in hiring me as a writer on your team? "MY BEST ADVICE TO A WRITER IS TO WRITE. SAY “YES!” TO OUT-OF-THE-ORDINARY EXPERIENCES, BE IN THE MOMENT, LISTEN, AND RECORD YOUR OBSERVATIONS. YOU CAN’T WRITE ABOUT LIFE IF YOU DON’T KNOW IT." 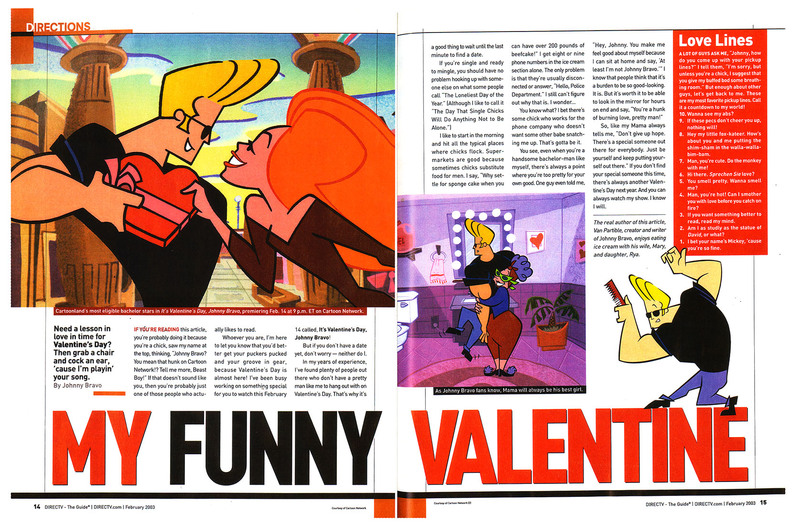 In 1997, after graduating LMU, I sold my senior animation thesis project, called “Mess O’ Blues,” and developed it into the cartoon series “Johnny Bravo” for the Cartoon Network. It was an amazing first season, but I was taken by surprise when the company fired me amid the Warner Brothers takeover of Turner Broadcasting. Read the full article here. If you're reading this article, you're probably doing it because you're a chick, saw my name at the top, thinking, "Johnny Bravo? You mean that hunk on Cartoon Network!? Tell me more, Beast Boy!" If that doesn't sound like you, then you're probably just one of those people who actually likes to read. Read the full article here. Planet Dearth is a half hour action-adventure-comedy that centers on Guntharr The Destroyer and Aura the Invincible, the two greatest warriors in the history of the planet, and their youngest son, Kolt, a fourteen-year old dreamer trying to find his special pupose. The show takes us to the origins of suburbia and the trappings and downfalls of trying to change the world without actually associating yourself with it. Read the script here. 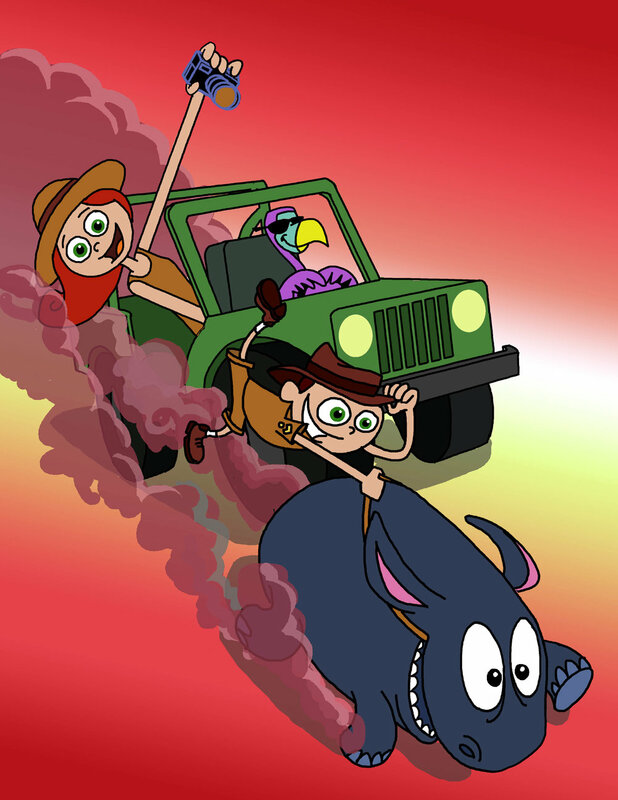 TOMMY SAFARI is a self-titled series about an 11-year old adventurer and host of “Crazy Cool Animals,” an educational show about exotic animals (that don’t exist in real life). Tommy is accompanied by his sister/camerawoman/assistant, Becky, who follows him around with a steadicam to record their adventures and hopefully garner the attention of potential colleges. Tommy also has a pet Dodo Bird/best friend named Digby. In each episode, they explore a fantastically diverse eco-habitat, looking for an exotic creature to befriend so they can “hang out” and “chillax together.” More often than not, they end up on a rescue mission when Tommy throws the natural balance of order out of sync. The problem is, Tommy doesn’t understand why the animals don’t embrace him whole-heartedly. Especially since he just wants to love on them. But what Tommy doesn’t take into account is the fact that he’s a bit loud, excitable, and intrusive of their personal space. Read the script here. “Northwest Southeast High School. Or New-Z for you text speakers. Holla. It’s the school where every student has a secret. Some worth keeping. Some we wish we never knew. And some… we’re canceling our mani-pedi’s, just to find out…” Read the script here.